The Passionate Collector is ready for all your last-minute holiday shopping needs at their retail store located in Newport Beach or online at www.thepassionatecollector.com. Having a passion for fashion and accessories, owner Susan Shieldkret of the Passionate Collector, combined these with her love of travel, as well as a love for helping others look and feel their best. With a great selection of products, wonderful designs and reasonable prices, The Passionate Collector features over 50 designers from all over the world. “We are like a tiny department store. 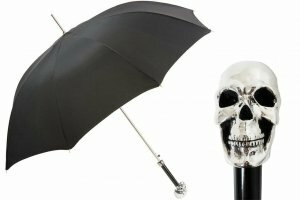 We can cover your shopping needs, from really fun socks, unique umbrellas, alpaca slippers, and handmade scarves, to beautiful jewelry”, said Susan Shieldkret, the owner of The Passionate Collector in Newport Beach. With Christmas right around the corner, people are looking for those last-minute gift ideas for that “hard to buy” for person, the friend who has everything, and even that special friend who is unique and original. The Passionate Collector has something for everyone, including gifts for mom or dad, that special someone in your life, your boss, the techie, travel lovers, or even yourself. 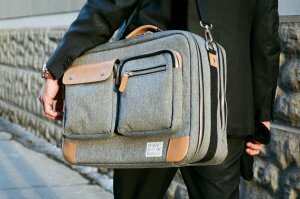 If you can’t go anywhere without your computer, check out the Canadian bags that wear like iron. Not only are these durable but they are also water and dust repellent, high-density, and scratch and stain resistant. This bag also touts versatility, with the convenience of being able to throw it over your back or carry it like a brief case. The choice is yours, and it protects everything! 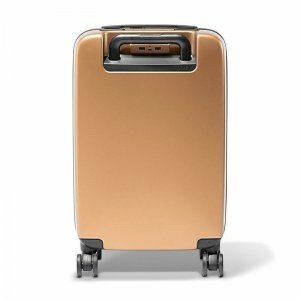 For those travel lovers, this “smart” luggage has a battery pack that will weigh itself and charge your smart phone, computer, and other devices. That’s pretty cool indeed. It also has a GPS-type locator just in case it ever gets lost. It’s TSA approved, comes in small or large, and has a variety of colors to choose from. 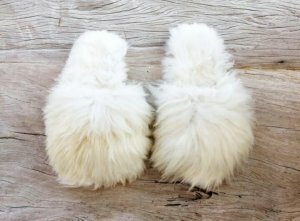 For fun – The Passionate Collector has pink (or white) Furry Alpaca Slippers, and they feel so soft, your feet will fall in love! The fur is long and moves with each step – pretty! How about something for that mechanical guy? 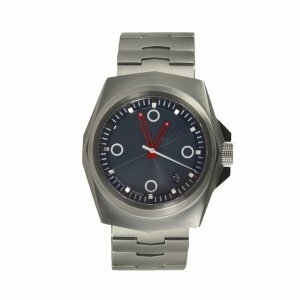 The Padron Watch lets you peer through the watch backing and see the speed of the movement. It’s seriously fascinating. 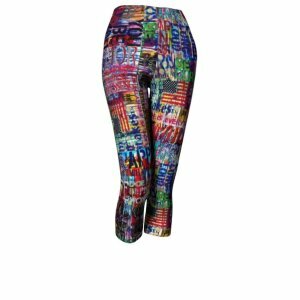 Inspirational quotes with Graffiti Word Art Leggings give you enough motivation to get out of bed and get your workout going. It’s the perfect gift for your favorite yoga or workout enthusiast. 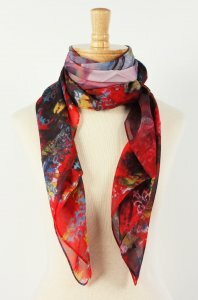 They come as 100% silk scarves too! 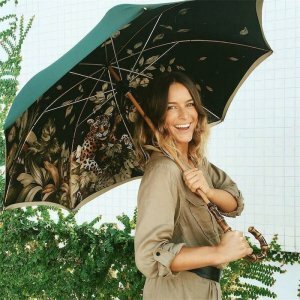 Detailed, exquisite Hand Made Umbrellas make a statement wherever you go, and they’re more than just protecting you from getting wet. Detailed with beautiful colors and unique handles, no two are alike! There are so many more exclusive gifts at The Passionate Collector, it’s no wonder. The name says it all. Stay connected to them on Facebook and Instagram at @thepassionatecollector; and Twitter at @TPC_Jewelry. Visit their online store or stop by their boutique store in Newport Beach, located at the Newport Coast Shopping Center — 21115 Newport Coast Drive, Newport Coast, California 92657. Online orders and additional information can be found at http://www.ThePassionateCollector.com.